I most enjoy working with the wide range of disciplines on the course. So far I have worked with 3D modellers, animators, photographers – it’s been a great experience and I’ve made some great friends. 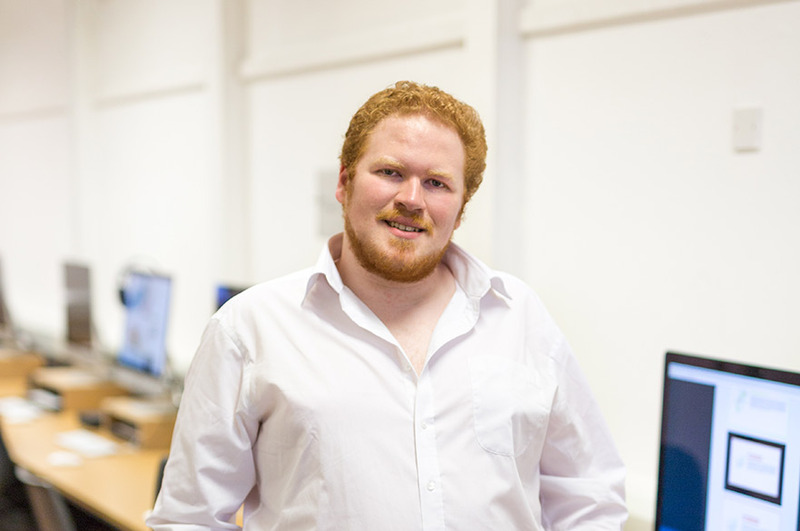 Edward completed an FdA Multimedia (Web Design) at New College Nottingham, before joining NTU to top-up to a Bachelors degree. “I chose to top-up at NTU mainly because of the facilities on offer. Also, after having completed my foundation degree at a college, I wanted the experience of attending a university. “I most enjoy working with the wide range of disciplines on the course. So far I have worked with 3D modellers, animators, photographers – it’s been a great experience and I’ve made some great friends. "The project work has involved working with live clients on multiple occasions. I have found this to be a great experience, and it's helped to prepare me for when I get a job after graduation. "The course staff are brilliant – they have always been on hand when I have needed any advice with my projects, and have always tried to help point me in the right direction if I’ve needed it.